Yep, that’s another month to cross off the list for 2012 as we head into the final month of the year. We certainly will have some data to look back on and evaluate since we document all of our expenses. It’s funny how the year progresses and we see more and more areas that we can improve in when at the time it all sounded like a solid plan. Do you find you make changes to your budget throughout the year? What happened in November in the CBB House? Not a lot happened this month to be honest with you. I did some renovations on the home and prepared the house for the winter months. I’ll be bringing out the tank for winter soon and parking my love machine for about 4 months. I do go in the garage sometimes just to hang out and start the engine just to get a feel for what I’m missing. December might even be a write off as so much will be happening I’m doubting I will get anything done. On a good note our love ferns are surviving well in the kitchen no less, and are getting much-needed sunlight. Here’s hoping they hang on over the winter season. This month we decided we will be needing more money in the budget for Christmas next year so that’s one small look into a 2013 change. Other than that in The Grocery Game Challenge last week we went over some changes that we need to make. One of them being the pet food that is just not feasible at this time in our grocery budget so this will change our pet category for December from $83.33 to $115.83. The Pet category includes potential Vet and Drug fees as well as Bird Seed for the winter feathery friends in the back garden which we also forgot to factor in. This is why projected expenses are so important although we realize we can’t possibly think of everything, hence the ever favourable miscellaneous category. We could pull off the $190 a month Grocery Budget, heck we did it most of the year but only if we didn’t stockpile any items but even that we are thinking of separating from our grocery budget. It’s been recently we ran out of dog food that was free through a nutritional study and free bags from another company that we realized the impact. Pets can get costly and part of the reasoning why it’s important to think about pets and budgets before getting an animal. Next year we will start a stockpiling category as a projected expense and use it Only if necessary. In January we will see a rise in our grocery budget a new category called bulk buying at $50 a month which will be a projected expense. Also our TFSA will go up since the increase from $5000 a year to $5500 a year. Finally Reliance Home Comfort will be putting their price up in January 2013 as well. That’s all for now, but who knows what’s in store for us next! PE=Projected Expense is money which is automatically saved so if we go over in a category the money will come from the PE Account where it accumulates all year. 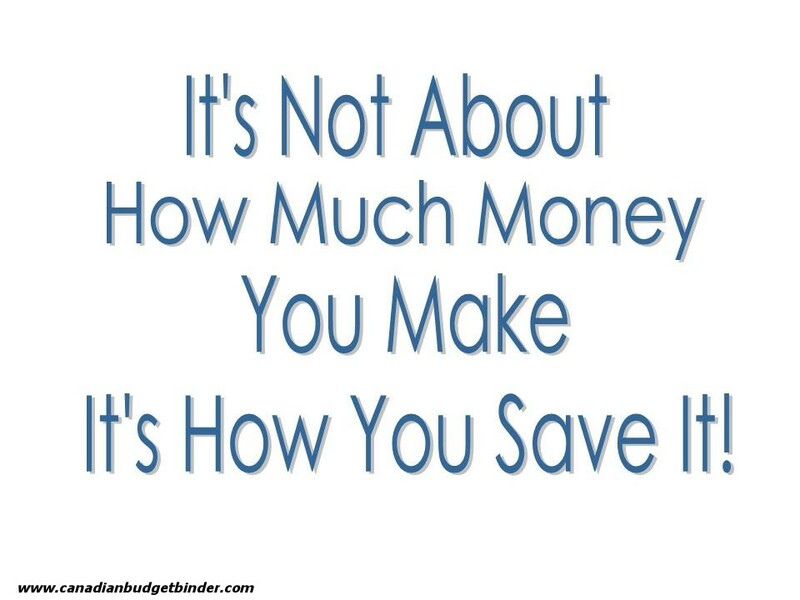 The key is to make sure that you are not spending more than you are saving each month over the course of the year. Example: Clothing we budget $10 per month. If we don’t spend it we move it to the projected expenses account. This means we should have $120 per year for clothing to spend. We have to track that expense as we spend it. If we see we need to adjust the budget because the number is far too low or high we will do that. I may add a Year to Date starting in January 2013 to this update so I can track it along with all of you. Grocery- $190.00 Spent $295.77 Play The Grocery Game With us to Save! Over $105.77 Ouch! $84.23 to spend in Dec. Overall: This month has been an eye opener for us but that’s expected. I don’t think that any budget is perfect and that continual work on them to improve your finances is imperative. Check in at the beginning of January 2013 to see what the New Year Brings Us! What changes do you need to make to your budget? Oh my! You are so detailed…I love it! You do a very good job of pinpointing expenses, I know it’s hard to get everything but it looks like you come pretty close. It’s always inspiring to me when I see someone who makes such a great budget and actually sticks to it. You’re so proactive! I wouldn’t worry about these new categories…they’re a great idea. I think I will have to increase my clothing budget this year. I think it’s $50/month right now but I wonder if that’s enough for 3 people? I will try decreasing my grocery budget and I will have to look at all other categories when I’m infront of my spreadsheet. Great work Mr CBB! Nice, you’re saving quite a bit of money. Right now I’m happy to put away $300 every paycheck which is terrible … but circumstances call for it. How do you survive on such a small grocery budget? My husband and I sat down last night and went over projected expenses and budget for this month. Amazing. We’ve never really done that. I have, but he’s never gotten involved. I think this next year is going to be great and we are going to kill some debt. I like the stockpile category. I might have to add that. I still have quite a bit of laundry detergent, but if I ever have to buy that, dog food, and toilet paper in the same month, I’m screwed. Can’t wait to see your site redesign. Did you know Andrea and I are both from small towns in Kentucky. KY girls rock. Have you considered doing a Christmas game challenge? It might be pretty interesting. If it’s too late this year, perhaps next year? Mr. CBB I wish you the best of luck with your budget. December can be a make it or break it month with so many random expenses, gifts and such. I really need to work more on a budget for here, I think I’ll try to get the one off your site printed off if hubby goes for a walk. He’s done budgets before but it never lasted long.I’m getting a better idea of what will be coming in so I can work from there… I hope……wish me luck….. I think you did wonderfully this month. We blew our budget on gasoline for the cars this month. Having ageing parents who depend on us, accounts for much of the unnecessary driving. Also my eldest daughter getting married. I have under budgeted for this. I like your approach to this being a learning experience. It is. Over my 30 years of marriage situations keep changing, and so does the budget.Having one is the key and trying your very best to make it work. You can’t do any better then that…………..or starve! We have a planned spending account for harvest season grocery purchases Mr CBB and it works very well for m. I put aside $50/month, or more if I can afford it. This year I had just over $800 in the canning budget and used every penny of it but the pantry is now full to bursting. If you are planning on doing home preserving, you’ll want to budget some money toward jars and lids, freezer containers, and adequate storage too. Looking forward to what changes you have in store Mr. CBB. I assume you’re going to going down the self-hosting route? In regards to what changes need to be made to our budget, we really don’t have a whole lot that needs to be changed. Really a just few minor tweaks here and there. We’ve been budgeting for over ten years now, so it gets pretty cut and dry after a while. Great detailed budget. I need to start budgeting for clothes. Right now I just use by spending money on clothes. Clothes can eat a big chunk of the budget if one isn’t careful. I hope you make the decision to start budgeting… you will look back and thank yourself, we do!